A PopSockets grip is more than a stylish phone accessory. Its an opposable thumb for your phone. It lets you take selfies like a pro and share with your circle of fans, friends or embarrassing family members. It lets you text things you may or may not later regret with the greatest of ease. It lets you stand your phone up on an airplane tray table to watch a movie. When youre done, it collapses flat like your bangs in a rainstorm. 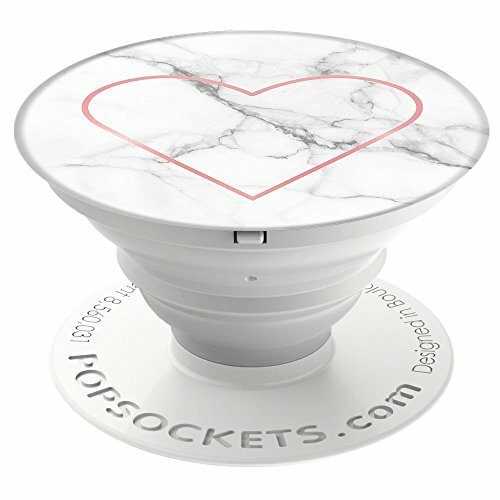 PopSockets grips are repositionable and stick to most devices and cases but may not stick to silicone or waterproof materials. The product includes a special 3M adhesive disc for attaching your grip directly to a glass-backed phone. You may also buy a separate mount to attach your phone to your dashboard, mirror, refrigerator, air conditioning vent or wherever you snack on content. Mmmcontent. And now, a little something for all you specification geeks: Diameter: 1.56 inches, Height: .9 inches when expanded, .25 inches when collapsed.